Experts on all the line. For a world who wants to move forward. Engineers, agronomists, economists and managers make up our team of experienced professionals. Together, they combine expertise and experience. Isabelle Charron is an agro-economist. In 2013, she was appointed president of Groupe AGÉCO, which she joined in 2001 when the firm was founded, and became a partner in 2009. Isabelle is known for her strong team management, communication and facilitation skills. She specializes in strategic planning, regional development, market studies, labour and corporate responsibility. She has gained cutting-edge expertise in qualitative approaches based on interviews, the conduct of focus groups and guidance for management. A recognized expert in Québec’s agri-food sector, she has often been called to all four corners of the province to speak at conferences on topics of interest in agri-food. She is a member of the Ordre des agronomes du Québec and sits on the organizing committee of the Perspectives agri-food outlook conference organized by the Centre de référence en agriculture et agroalimentaire du Québec (CRAAQ). In 2001, Diane Gilbert cofounded Groupe AGÉCO, where she is now the general manager and director of the surveys and polls department. From 1988 to 2000, she was a project manager and then the associate director of operations management in the Groupe de recherche en économie et politique agricoles (GREPA) at Université Laval. Diane is known for her ability to lead survey projects and expertise in production cost determination—a field in which she has acquired over 25 years’ experience. She also specializes in training, data collection tools development, data validation and analysis, production cost studies and agri-environmental surveys. Her know-how, rigour and neutrality are recognized in Québec’s agricultural sector. She is often called upon to serve as an expert witness in cases appearing before the courts. 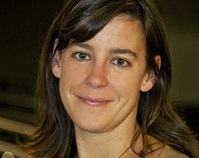 The vice-president of economic studies and a partner since 2009, Catherine Brodeur is an agriculture economist. Before joining Groupe AGÉCO in 2001, she was an analyst at the Financière agricole du Québec. A leading expert in agricultural economy and policies, Catherine is recognized for her acute project design skills, critical sense and strategic thinking to support organizations in the agri-food sector. She has focused her career on economic and political analysis in the agri-food sector, the collective marketing of agricultural products, international trade and the energy issue. A noted speaker, Catherine is in strong demand in Québec’s agriculture sector. She is also a lecturer in the Department of Agri-Food Economics and Consumer Sciences at Université Laval. Jean-Michel Couture is an agricultural economist. 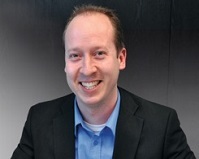 He joined Groupe AGÉCO in 2011 as a social life cycle assessment (LCA) analyst. In 2013, he was appointed director of corporate responsibility projects and became a partner. From 2007 to 2009, he was a research professional in the Groupe de recherche en économie et politique agricole (GREPA) at Université Laval. In 2010, he worked as a trainee at the Federal Office for Agriculture (FOAG) in Bern, Switzerland. Jean-Michel is an expert in social life cycle assessment, specifically in the agriculture and agri-food sectors. He has contributed to methodological developments in the field and carried out a number of mandates for various organizations. As a professional, he is open to new approaches and actively participates in the development and implementation of projects on ecosystem goods and services as well as social benefits—two innovative areas. Since 2009, Jean-Michel has contributed to expanding the reach of social LCA by speaking at dozens of conferences in Canada and Europe and publishing scientific papers. He also serves as an expert on selection boards and sectoral committees. Julie-Anne has headed the firm’s corporate responsibility service since June 2018, prior to which she was the director of business relations for over three years. She holds a bachelor’s degree in chemical engineering from Polytechnique Montréal. Julie-Anne actively contributes to mandates as a content expert and project manager and is a specialist in ISO standards related to environmental life cycle analysis. She provides support to businesses of various sizes and sectors in integrating life cycle thinking in their business processes. Through her work, she has developed a unique expertise in the agri-food and sustainable building sectors, in which she is especially active and recognized. She joined Quantis Canada when it was founded in 2010 and was with the company until it became part of AGÉCO in March 2015. At Quantis, she was a senior life cycle assessment (LCA) analyst and the director of business development. From 2002 to 2010, she was a member of the CIRAIG (LCA research centre). 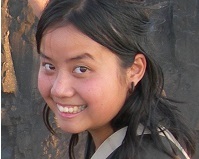 During her studies, Julie-Anne carried out an international cooperation project in El Salvador. She gained her first experience in the environmental field working for Solvay in Belgium. Julie-Anne is often invited to speak on environmental LCA topics and is a leading figure in Québec’s sustainable building sector. She has been Chair of the Board of Directors of the Canada Green Building Council (Québec section) since June 2016 and is often called upon to develop and provide training in this sector. 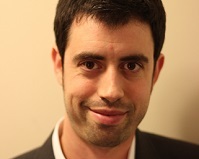 Edouard is a senior corporate responsibility consultant, having previously managed the service for almost three years. He holds a bachelor’s and a master’s degree in mechanical engineering from Polytechnique Montréal. As a recognized expert in life cycle analysis (LCA), packaging optimization, eco-design, and the strategic integration of sustainable development into business plans, Edouard provides support to all types of organizations in the adoption of more sustainable production and procurement processes. 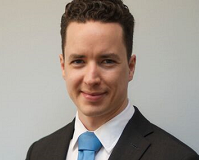 Prior to working at AGÉCO, Edouard cofounded Quantis Canada in 2009, a firm specialized in LCA and corporate responsibility. He headed the company until 2015, when it was acquired by Groupe AGÉCO. He began his career as an engineer with General Electric’s Technology Leadership Program and went on to join the CIRAIG (LCA research centre) in 2005, where he served as technical coordinator and led a team of analysts working on industrial research and development projects in environmental life cycle analysis. He is also very active in the development and promotion of corporate responsibility. Over the past decade, he has provided training and spoken on a range of topics related to sustainable development. He is also a founding member and the secretary of the Board of Directors of the ECPAR (responsible procurement) and sits on the Board of Directors of Packaging Consortium (PAC). Since March 2015, François Charron-Doucet has served as the scientific director of corporate responsibility services at Groupe Agéco—a position he also held at Quantis Canada from its founding and until it was acquired by AGÉCO. François earned a bachelor’s degree in physics engineering from Polytechnique Montréal and went on to complete a master’s in life cycle analysis (LCA) and carbon footprinting. He then worked as a senior analyst at the CIRAIG LCA research centre at Polytechnique Montréal. He began his scientific career as a teaching assistant at École de technologie supérieure (ETS) in Montréal in 2004 and took an LCA consulting position in Paris in 2006. François is recognized in Canada and the US for his extensive expertise in environmental life cycle analysis and rigorous quality assurance reviews. He is often invited to chair and serve as an LCA expert on critical review committees. In the past decade, he has led and collaborated on several hundred environmental projects, including comprehensive life cycle assessments, carbon and water footprints and Carbon Disclosure Project reports. He also contributes to the development and implementation of projects focused on ecosystem goods and services—an innovative sector. François is a member of the Ordre des ingénieurs du Québec. He is a CSA Group Certified GHG Verifier and a recognized verifier for several North American and European environmental product declaration programs, including the International EPD System (Sweden) and CSA (Canada). In addition to being an LCA instructor, he has taken part in the scientific working groups of the Sustainability Consortium. He is a member of the Canadian ISO committee on international standards for environmental labelling. 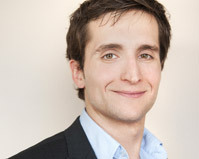 Business management specialist Renaud Dumouchel-Fournier holds a bachelor’s and master’s in management from HEC Montréal. He joined Groupe AGÉCO in 2017 as a consultant in the corporate responsibility (CR) services group. 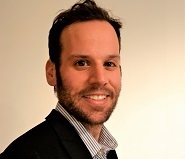 Renaud began his career as a CR advisor in a strategy consulting firm. There, he led and coordinated a number of research projects and consultation mandates in the financial, telecommunications, energy and education sectors. An active member of the Ordre des administrateurs agréés du Québec, he had the opportunity to sit on the organization’s sustainable development committee and be a guest speaker. Known for his expertise in the development and implementation of CR strategies and project management, Renaud possesses unparalleled analytical and synthesis skills to support informed decision making. Bertrand began his career in France, conducting research on the economy and the organization of livestock sectors in France and the Netherlands through a sustainable development perspective. Upon arriving in Canada in 2003, he worked as a risk manager and an economist and strategist for major Canadian banks in agriculture and agribusinesses lending. He is a director of the Canadian Agricultural Economics Society and a member of the Agricultural Advisory Group of Accounting Standards Board. Bertrand bring a leading expertise in the funding and development of Canada’s agricultural and agri-food sectors and the international trade of agricultural products. Through the years, he has built a network of strategic contacts in these sectors. Simon Dostie graduated from Université Laval with a degree in agri-food economics and management. He joined Groupe AGÉCO in 2001 and now works as a senior analyst. Simon has focused his career on data collection and processing. He coordinates production cost surveys and contributes to the field through the determination and calculation of the cost of milk production in Canada. He is recognized for his ability to build dynamic, user-friendly and effective tools to process and leverage data through illustrations by creating supports such as measurement and monitoring indicators and providing users with decision-making tools. He also conducts economic impact studies based on the intersectoral model (economic multipliers). An agro-economist by training, Rosalie-Maude St-Arnaud joined Groupe AGÉCO in 2007. 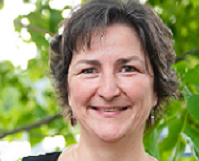 Rosalie-Maude has developed particularly effective expertise in data research and analysis, focusing on market surveys, sector diagnoses and strategic planning as well as the assessment of the economic value of ecological goods and services. She has also acquired specialized knowledge of the egg and poultry sector and non-timber forest products. 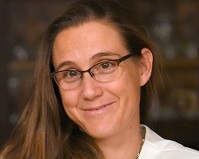 In addition, Rosalie-Maude has conducted a number of regulatory analyses related to the frameworks for environmentally sound agricultural practices and to the themes of occupational health and safety and labour rights as they pertain to work conditions in Québec and North America—a critical expertise to establish corporate responsibility commitments that go beyond regulatory compliance. 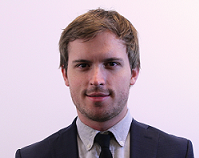 Madavine Tom has worked as an analyst at Groupe AGÉCO since April 2015. 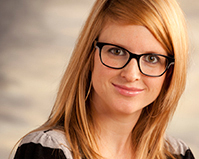 She had previously held the position at Quantis Canada since November 2011. She earned a degree in environmental engineering from the University of Guelph (Canada) and carried out two internships in European sustainable development consulting firms as well as one in Zambia with Engineers Without Borders Canada. Madavine has conducted numerous environmental life cycle analyses in the textile, agri-food, packaging, information technology, pulp and paper and construction industries, and also carried out carbon footprints and literature reviews, and worked on the development of life cycle inventories databases. In addition, she has worked on the development of greenhouse gases (GHG) reduction targets based on science and supports organizations with their GHG reporting at the Carbon Disclosure Project (CDP). Always on the lookout for new market requirements and trends, she has worked on the development of several Environmental Product Declarations (EPDs) and Health Product Declarations (HPDs). Madavine is recognized for her thoroughness and ability to explain complex topics in simple terms. 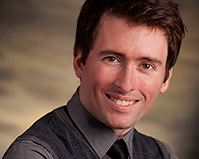 An engineer physicist by training, Hugues Imbeault-Tétreault earned a master’s degree from the International Reference Centre for the Life Cycle of Products, Processes and Services (CIRAIG), Polytechnique Montréal. He then worked as an analyst for over six years and acquired extensive expertise in environmental life cycle assessment (LCA), specifically in the wood products, pulp and paper and tires sectors. In February 2018, he joined Groupe AGÉCO as an analyst. Through his numerous mandates with various levels of government and businesses, he has also developed expertise in water footprint, GHG inventories for businesses (scope 3), circular economy and the monetarization of LCA indicators. Known for his professionalism and thoroughness, he demonstrates his versatility in the implementation of mandates and his curiosity to explore new topics. Sandrine Ducruc is trained as a geographer and holds a master’s degree in environmental sciences from the Université du Québec à Trois-Rivières. She joined Groupe AGÉCO in October 2018 as an analyst on the economic studies team. Sandrine worked for five years at the Centre of Social Innovation in Agriculture (CISA), where she coordinated numerous research projects, in particular, in the fields of farm waste management, territorialized agri-food systems, succession and the agricultural establishment, and urban agriculture. 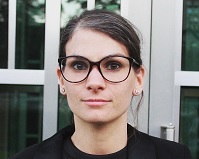 Sandrine has in-depth knowledge of qualitative research methods and open innovation approaches, including living labs and participatory action research. She has developed marked abilities for facilitating focus groups, think-tank workshops and one-on-one interviews. Sandrine is known for her strong interpersonal skills, which facilitate collaboration between parties that sometimes have opposing interests. Trained as an engineer, Antoine Léger Dionne earned a bachelor’s degree in chemical engineering from Polytechnique Montréal and a major in environment from McGill University. In 2017, he joined the corporate responsibility team at Groupe AGÉCO as an analyst. His previous professional experience includes environmental characterization and rehabilitation, as well as the identification of environmental best practices in the industrial sector. Antoine also specializes in health and safety on construction sites related to workplace hazardous materials. Educated as an economist, Marie-Ève holds a bachelor’s and a master’s degree in Economics from the Université de Sherbrooke. She joined Groupe AGÉCO in October 2018 as an analyst in the economic studies department. Marie-Ève worked for two years at La Milanaise and Les Moulins de Soulanges where she supported the organization analyzing economic data, coordinating research and development projects, and developing profitability indicators. There, she developed expertise in organic farming, along with her ability to collaborate with partners. 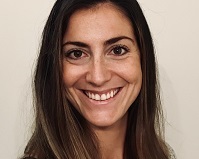 In 2017–2018, as an economic analyst at the Association québécoise des pharmaciens propriétaires (AQPP), she helped the organization in its use of business intelligence for issues affecting the industry. She helped to build the Association’s position on various issues, based on a reliable and contextualized economic case statement. 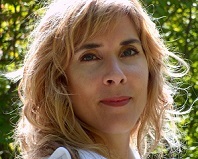 Marie-Ève distinguishes herself through her keen abilities for quantitative and qualitative analysis. She relies on these to popularize and present results in an effective manner. At Groupe AGÉCO, she has revived her interest in the agri-food sector and her desire to support its development. Trained as an engineer, Julien Martel joined Groupe AGÉCO in 2017 as an analyst on the corporate responsibility team. He holds an engineering degree from Arts et Métiers ParisTech in France, as well as a master’s degree in civil engineering with a specialization in environment from École Polytechnique de Montréal. His prior professional experience has included research and development of new technologies for soil characterization and project management on construction sites. Julien has developed advanced expertise in the construction sector, more specifically on tools for the environmental certification of buildings, including Environmental Product Declarations (EPD), LEED sheets and health declarations. He has extensive experience in the life cycle assessment of buildings, whether existing or under construction. 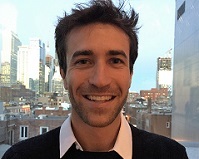 Julien has a particular interest in the presentation of analysis results and the development of tools that enable clients to make informed decisions. The survey and poll service rests on the solid know-how of our surveyors: Gervais Turcotte, Anne Goupil, Nancy Morin. Groupe AGÉCO can also count on a a team of contractual surveyers for phone surveys if needed. Groupe AGÉCO professionals have a reputation for the quality of their methods to survey and poll and to put forth the adequate means to ensure representativity and reliability of results. Groupe Agéco also relies on Monique Mercier for administrative tasks on a daily basis. They are precious to quality administrative contacts with our clients and suppliers. A communications and public affairs specialist, Michèle Roy has worked as a senior consultant in corporate responsibility at Groupe AGÉCO from March 2015 to June 2018. She had held the position at Quantis Canada from 2011 to 2015. She previously served as vice-president of communications and public affairs at RONA, where she oversaw the coordination of the corporation’s sustainable development plan. Michèle began her career in a national public relations firm as an advisor and later became a partner (1985–1996). She then spent a decade in the pharmaceutical industry in national and international listed companies: at BioChem Pharma as the director of corporate communications, at Shire Pharmaceuticals as the director of communications for North America and at ID Biomedical as the vice-president of corporate communications. Michèle works with Groupe AGÉCO to support organizations in their corporate responsibility journey. She brings to the table her strategic vision and program implementation skills. She specializes in the development of CR plans, responsible procurement, stakeholder relations, communications tools and strategies and reporting. Serecon is one of the largest agricultural consulting and valuation firms in Canada, with offices in Edmonton and Calgary, as well as associate offices in London, Ontario. Created in 1991, Serecon is dedicated to providing consulting services to the agricultural industry in Canada and internationally. Its team is focused on environmental sustainability, economic impact analyses, policy analysis, industry studies and assessments, and development of industry strategies. Serecon clients can be found in all livestock and crop sectors, as well as in their upstream and downstream industries. AGECO and Serecon have broad and recognized expertise in the agri-food sector, covering all aspects of the industry’s economic, environmental and social responsibilities. AGÉCO and Serecon collaborate on projects that require a national outreach and an in-depth understanding of the specific realities of agricultural production in Canada. Serecon’s extended network as well as its expertise in valuation and sustainability assessments are solid assets AGÉCO can rely on to bring value to its clients. Since 1979, Demers Beaulne has been the privileged business partner of SMEs in accounting, taxation and organizational and financial services. The accounting firm specializes in the agri-food sector, specifically in meat, dairy product, grain, fruit and vegetable processing and food logistics. Demers Beaulne has developed an extensive international network to gain leading-edge information and facilitate the business ambitions of its clients. To complement its expertise in financial analysis and business model development and analysis, Groupe AGÉCO partners with Demers Beaulne on certain projects in order to provide strategic support for its agri-food clients in their growth, acquisition, turnaround and financing and help position their organizations in the global business environment. Jacques Chavaz is an agronomist specializing in animal sciences and in agricultural economics and policy. For several years, he worked with and for Swiss dairy producers. As the assistant director of the Federal Office for Agriculture (Swiss department of agriculture) for twelve years, from 2002 to 2014, he was at the forefront of national and international agri-food economy issues in Europe and around the world. Building on his vast and solid expertise in European agricultural policy analysis, Jacques Chavaz is a longstanding partner. Particularly interested in issues related to social responsibility in agriculture, Jacques plays a strategic role for AGÉCO in the projects that require a physical presence in Europe and keen understanding of the sustainability issues faced by agri-food sector stakeholders. Furthermore, in a context of a globalized market and increasing trade with Europe, the firm’s collaborations with Jacques provide us with leading expertise for the benchmarking analysis of business environments, programs and Canadian and European agri-food policies. Jérôme Dupras holds a B.A. in biochemistry from Université de Montréal. 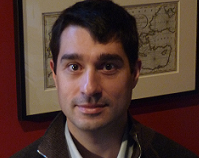 He studied two years at UQAM before starting a Ph.D at the geography department at Université de Montréal. He is now a professor at the Department of Natural Sciences of the Université du Québec en Outaouais and researcher at the Institut des Sciences de la Forêt tempérée. For his input on economic evaluation of ecosystems goods and services and preservation of natural habitat. The Centre interuniversitaire de recherche sur le cycle de vie des produits, procédés et services (CIRAIG) was founded in 2001 by École Polytechnique, in collaboration with Université de Montréal and HEC Montréal. They are state-of-the art on methodology for the environmental issues. For an answer to the need of industry and goverments who want to develop a high-end academic expertise regarding sustainability tools using the strenghts of Canadian universities in the areas of life-cycle assessment (LCA) and life-cycle management. For the development and the implementation of the social aspects of life-cycle assessment.